You might remember last month I took up Pip Lincolne’s suggestion to ‘take stock’ each month. To share what I’m loving, thinking, feeling, watching, reading… and so on and so forth. I liked it so much, I’m doing it again this month. If you’d like to join in, you’ll find the template for Pip’s prompts here. Use as many or as few as you like. Making: Plans. 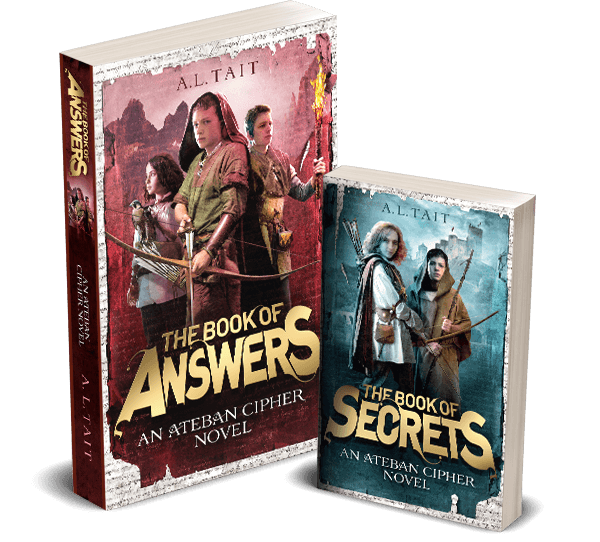 The Book Of Answers (Ateban Cipher #2) launches in one month and I’m working on the best ways to get the word out. Help me spread the word if you can! Cooking: ANZAC biscuits. I’ve recently rediscovered them as a school lunchbox treat. Drinking: Sparkling mineral water. It makes me feel as though I’m drinking something more exciting than water. Reading: Oh, as always, so much to talk about here. I’ve just finished The Ruin by Dervla McTiernan, which is a CRACKING read, and I’m halfway through Kali Napier’s The Secrets At Ocean’s Edge, which I’m really enjoying. 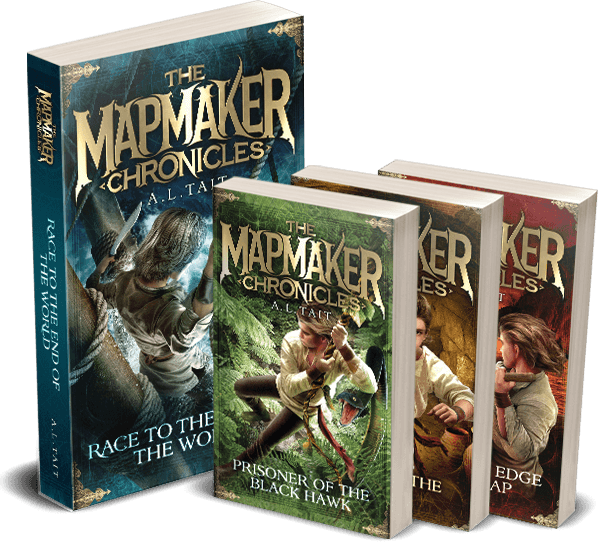 I’ve also got A Shadow’s Breath by Nicole Hayes on the go as my ‘bath read’ and Mr11 and I are reading Kensy and Max: Breaking News by Jacqueline Harvey together (he’s loving it). Wanting: A stylish pair of hiking boots for everyday dog-walking in autumn and winter. Any suggestions? Looking: Honestly, looking through reading glasses that suddenly seem less effective. Definitely time for a sight test. Playing: The new Marlon Williams album ‘Make Way For Love’. His voice just kills me (hear it here). Deciding: So many things. Every day there are just so many decisions, don’t you think? Exhausting. Enjoying: Watching my boys grow. And they are just… growing. Waiting: As a writer, I’m always waiting for something. If you don’t believe me, read this post I wrote in 2010 – nothing has changed. But, I will say this, I’ve got much better at using my waiting time. If you’re in this position, this post might help. Liking: The rain. We’ve finally had a decent downpour and the garden has gone nuts. Wondering: If I will be this thrilled about the rain next week when the weeds have also gone nuts. Loving: I generally steer clear of politics on this blog, but I have to say that I am loving watching the politicising of US teens around the issue of gun control. Will it be enough to effect change? Only time will tell. But watching them come to the fore, with a voice, gives me great hope for the future. Watching: Season 4 of The Bridge on SBS On Demand. Next watch: I am still mourning the end of season 2 of The Crown, so if anyone can suggest a suitable replacement, please do! Hoping: I’ll meet a big deadline on Friday. While I know that hope is not enough, I still think there’s room in the plan for it. Marvelling: That my baby is in grade six and has very specific requirements when it comes to haircuts. This is the same kid who, I’m sure, only minutes ago was dancing with me at the preschool disco. Questioning: Why The Builder and I thought that ‘one more season’ in which Mr11 plays BOTH rugby and soccer was a good idea. Rugby training started today and my afternoons and weekends disappeared in an instant. Wearing: Who knows? One day I’m in shorts because it’s 40 degrees Celsius and the next we have the flannel pyjamas out. Following: My friend Kerri Sackville as she prepares to launch her new book,’Out There‘. You should follow her too. She’s hilarious! Worrying: That I will never, ever get to the end of my To Do list. Thinking: That I should take my own advice. 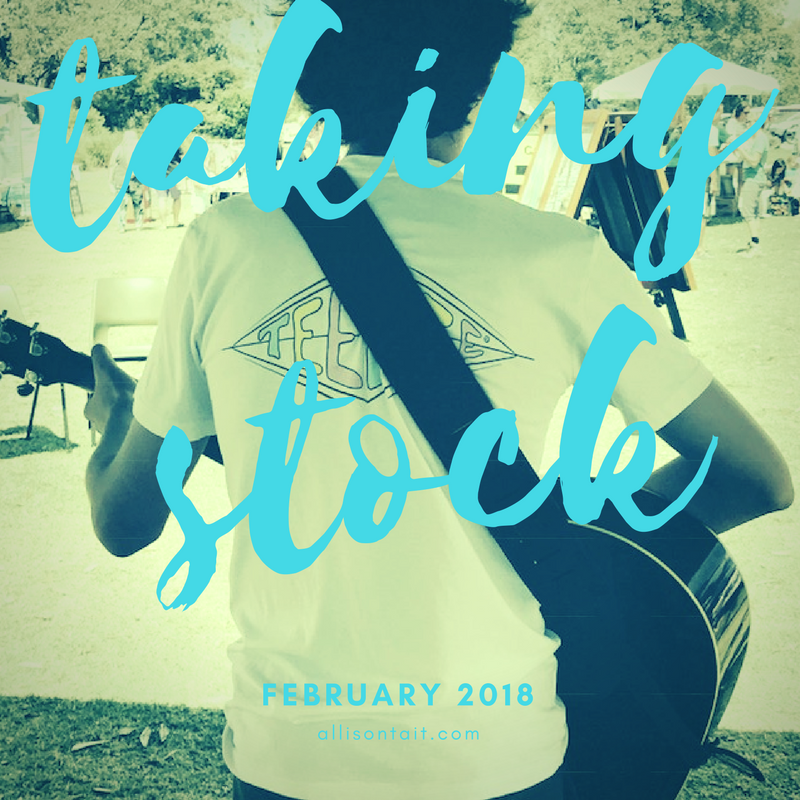 Would you like to Take Stock for February? Join in! It’s a great way to share things you’ve discovered without relying on social media platforms and their crazy algorithms to get the message out. Blog about it instead!